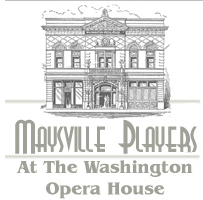 Maysville is unique in that it has two historic neighborhoods. 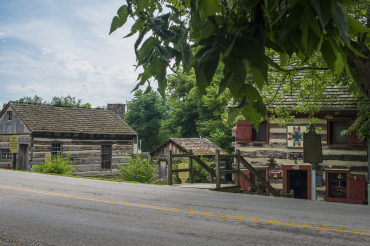 Four miles outside of the downtown historic district lies Old Washington, a 1780s frontier village. Old Washington was incorporated in 1786 by the Virginia legislature and named after the Revolutionary War hero George Washington, who became America’s first president in 1789. A town known in history for its many firsts, Washington was recorded in the first Federal Census taken in 1790 as having 462 inhabitants. It had the first postal station and first waterworks system west of the Allegheny Mountains. Simon Kenton planted the first corn in Mason County, and last but not least, Washington was the first county seat of Mason County. Washington’s role in the settlement of the American frontier was so significant; the National Parks Service has included its entire historic district and several individual buildings in its Historic American Buildings Survey program. Today visitors can tour buildings throughout the village that reflect the rapid growth from pioneer log cabins to sophisticated brick homes in the Federal and Georgian townhouse styles. Along with the museums, visitors can also enjoy the unique specialty shops.